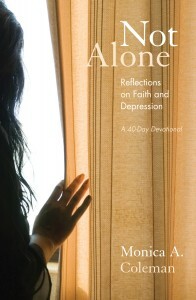 Not Alone: Reflections on Faith and Depression by MonicaA. Coleman – Great book! This is a collection of reflections that are from Coleman’s blog, Beautiful Mind. I really like that it is a forty day devotional, as opposed to one for the whole year-Coleman knows that people with depression have trouble with commitment. I love Coleman’s theology and her devotionals are thought provoking and affirming. Her writings are not condescending, cheesy, or trite the way some mainstream devotionals tend to be, but ring with truth as Coleman is a theologian who experiences depression herself. She tells it like it is and I really appreciate that. If you are looking for a devotional that isn’t just a collection of syrupy sweet sayings, then I heartily recommend this book. 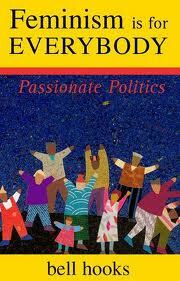 Feminism Is for Everybody: Passionate Politics by Bell Hooks – I started a feminist book club and this was our first book. This book isn’t quite what I thought it would be in that I think sometimes Hooks is so broad that one doesn’t get a clear picture of what a feminist looks like. What I like about the book is that it touches on a lot of issues and how feminism still applies to them-the book would have been perfect for when I was a student in college and I was assigned to answer the question of why our society still needs feminism. I knew without a doubt that we still needed feminism, but I had trouble coming up with compelling reasons for the class debate. I wouldn’t have that problem now! All of the people in my book group could feel that Hooks was holding herself back from fully delving into deep explanations and we shared a feeling of frustration in reading the book. Still, I like Hooks’ simple definition of feminism and have found it very useful. Unfortunately, even though the book was written in the nineties, the book still seemed very out of date, as Hooks barely talked about body image, eating disorders, trans rights, or ableism at all-all of which are hot topics now. I would recommend the book for any feminist newbie, with the hope that it would inspire the feminist to research the topics much further. 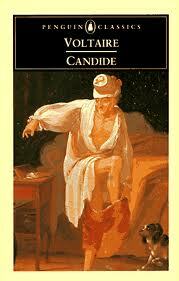 Candide by Voltaire – This was a fun read! 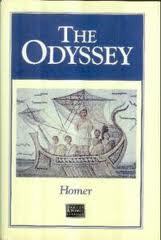 I read this for my classics book club and it was nice to have a light book that made me loud out loud. The book is a satire written in the 1700s, which makes fun of the idea that everything is the best of all possible worlds. I’m sure we all know people who are insufferable optimists that believe that everything is the best of how it could possibly be, but talk to an oppressed person and you will know that that isn’t true. Everything in the book is outlandish and absurd. I really liked the ending. 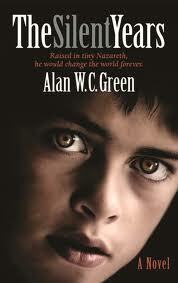 The Silent Years by Alan W.C. Green – This was my least favorite book of the month. 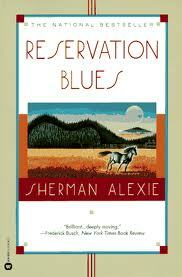 In fact, I didn’t even finish the book, but I am required to review it for Speakeasy. It’s a novel written about Jesus from the perspective of one of his relatives. The relative is a Pharisee and by getting to know Jesus, he comes to change his perspective on what following his religion means. 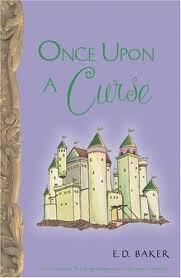 To me, this book just wasn’t innovative or progressive enough. For instance, Mary’s virginity is taken as a truth, when I think most modern adult Christians have come to the realization that Jesus’ virgin birth was a propaganda myth. Also, it portrays Joseph as being so understanding and forgiving towards Mary that I found his point of view completely unbelievable. I have always loved Joseph, because I always imagined that he must have wrestled with extreme anger and disbelief and yet he chose to forgive Mary and love her anyway. The Joseph in this book is so sweet that he does not seem human. After a few chapters, I continued to find the characters to be completely unrelateable and gave up. 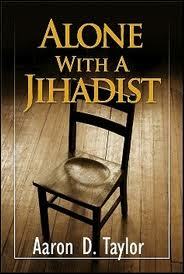 Alone with a Jihadist: A Biblical Response to Holy War by Aaron D. Taylor – This book was just alright. Taylor is not exactly a progressive-he doesn’t believe in gay rights and he does believe in Hell, so I don’t feel comfortable recommending works that he’s written, but fortunately he didn’t talk about those issues much in the book. He does believe that war is always wrong and that this is supported by scripture, which actually is something I do believe in. It was interesting to see this viewpoint supported by scripture, but I disagree with Taylor that there can be no compromises. Taylor seems to think that one cannot be a Christian and support war and I just don’t think that life is that cut and dry. If not supporting war is a criterion for Christianity then there are a lot of people who do not qualify and I am uncomfortable with any theology that dictates exactly what makes a person a Christian or not. What I prefer is a theology that is comfortable with questions and that does not pretend to know all the answers. I do believe that following Jesus calls for radical nonviolence and yet I will not say there is never a time when war is not warranted, simply because I know I do not have all the answers. This book was an interesting read, but I say read at your own risk.